Nelson Monteiro is a jiu jitsu black belt under Carlos Gracie Junior and a coach of the illustrious Gracie Barra academy. 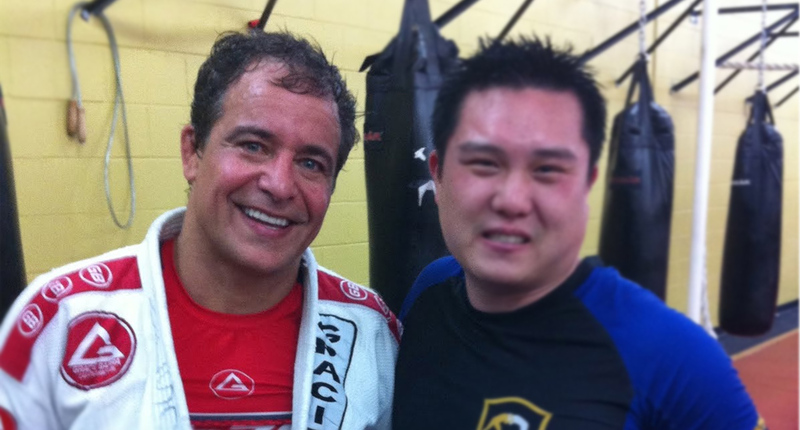 A veteran of the sport, Nelson Monteiro established his first Gracie Barra franchise in the United States back in 1990, prior to the post-UFC BJJ boom. Monteiro also taught the famous Sheik Tahnoon Bin Zayed Al Nayan, (a prince of the U.A.E.) and was closely involved with the creation of the biggest submission wrestling tournament in the world, the ADCC (Abu Dhabi Combat Club). Nelson Monteiro grew up in Rio de Janeiro, Brazil. 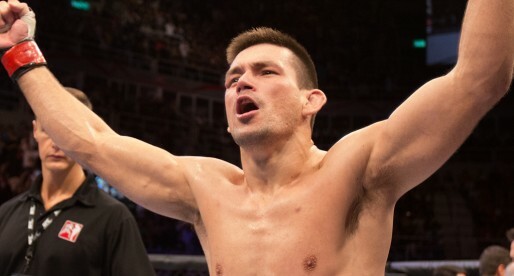 He started training jiu jitsu when he was 14 years old after he saw a friend of his, who trained BJJ, beat up a much larger opponent in a street fight. 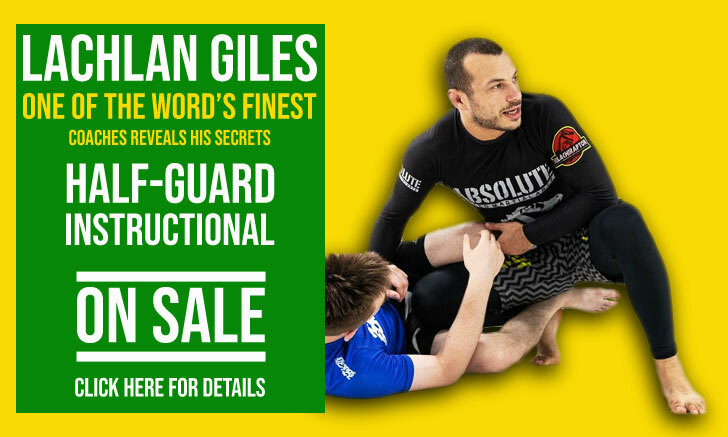 He managed to convince his father to take him to the famous Gracie academy in Copacabana, a gym that was shared by two jiu jitsu legends, Rolls Gracie and Carlson Gracie. Though the gym was shared by these two Gracie jiu jitsu masters, they worked separately; Carlson trained his team on one schedule and Rolls worked his team on another. Nelson was on Rolls’ side, and trained mainly under Rolls’ right hand man, his younger brother, Carlos Gracie Junior. After Rolls Gracie passed away in a tragic accident, Carlos took charge of the team, spending some time at the Copacabana gym before he opened his own academy in Barra da Tijuca, which he called Gracie Barra. Nelson Monteiro was one of the students that commuted to the Barra da Tijuca gym, continuing his training with “Carlinhos”, earning his black belt in 1989, the same year when he graduated as a physical education teacher. Soon after he finished his degree, Nelson moved to the United States, namely to Encinitas, California, where he started teaching BJJ to a few students from his garage. With a steady growth in the number of students, Nelson Monteiro decided to move to a bigger space where he could expand his class; he chose to set camp in Del Mar. In 1995, a student walked through the door that would change Nelson Monteiro’s life tremendously. This student, who was known as “Ben” was studying in the United States, he stayed 8 months training with Nelson, after which he had to return to his home country. The real name of this student was Tahnoon Bin Zayed Al Nayan and he was a Sheikh, son of the king of the United Arab Emirates. Sheikh Tahnoon wanted to continue training and asked Nelson Monteiro to come to his country and help him, Monteiro accepted and left Marcelo Pereira in charge of his American students. Sheik Tahnoon was very interested in MMA (Mixed Martial Arts), and wanted to invest in the sport. His first investment was in 1997 for Pentagon Combat, an MMA production that was organized by Nelson Monteiro which included big names of the sport in those days, such as Murilo Bustamante, Ricardo Morais, Oleg Taktarov, Sean Alvarez (Nelson Monteiro’s student), Marcelo Tigre and the main event, Renzo Gracie vs Eugenio Tadeu, the old BJJ vs Luta Livre rivalry. The event was going well until Renzo Gracie and Eugenio Tadeu met, the rivalry of these two Brazilian styles transcended out of the cage, and a huge riot broke out (as recorded in Renzo Gracie’s documentary: Legacy), this riot made it to the national news in Brazil and even the CNN. It had dramatic repercussions for the sport in Brazil, setting back its growth. It also set back the Sheik’s intentions in investing in the sport in Brazil. During the period spent by Nelson Monteiro in Abu Dhabi with the Sheik, Monteiro coached a few MMA fighters, they were: Ricardo Morais, Sean alvarez, and a couple of wrestlers. This local club was called Abu Dhabi Combat Club (ADCC). After the Pentagon Combat fiasco, Sheik Tahnoon turned his sights to his own country; he wanted to organize an MMA event in the UAE. Unfortunately his father, the ruler of the country, believed MMA was too violent and opposed to this idea, in brainstorming ideas, it was decided that they would organize a submission wrestling event instead, bringing the top athletes in the world for this tournament. As the organization was led from Nelson Monteiro’s club, they called the event the ADCC. This quickly became one of the most important tournaments in the world for jiu jitsu athletes who immediately dominated the submission wrestling based tournament. After 4 years spent in the UAE, Nelson Monteiro and his family returned to Brazil spending around 4 years there before he returned to the United States continuing his work as an instructor for the Gracie Barra academy. We all new he was a Prince before Nelson left.